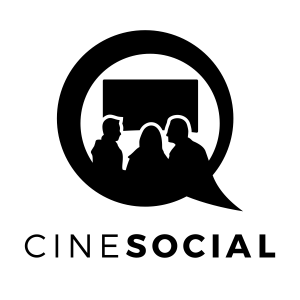 Promotional post for the first CineSocial film club screening, in Olney, Buckinghamshire on Sunday 28 June 2015. Scroll down for booking details. We are screening the satirical drama Birdman: Or The Unexpected Virtue Of Ignorance (2014) starring Michael Keaton, Edward Norton and Naomi Watts. Starring: Michael Keaton, Zach Galifianakis, Edward Norton, Naomi Watts, Andrea Riseborough, Emma Stone. Story: Michael Keaton stars as a washed-up actor, previously a star of successful comic-book films. To increase his artistic credentials, he’s staging a self-written play. But his attempts to resurrect his career are thwarted by the cast and crew, including the brilliant but volatile method actor Mike Shiner (Edward Norton). González Iñárritu, the internationally acclaimed director of 21 Grams (2003) and Babel (2006), directs, co-writes and co-produces a satirical look at theatrical creation and the artistic temperament that has received widespread critical acclaim. ‘This is grand, spectacular, star-powered cinema – a cosmological blockbuster – that makes us ask again what cinema can do and be. Call it a Dark Knight of the soul. The film will finish at 9:30 but the bar will remain open until 10pm, so feel free to stay and talk about the film. You can follow us on Facebook, Twitter or via our blog site. Feel free to share this invite! Independent Cinema MK brings a wider variety of film to a wider variety of people in the city. ICMK is based at MK Gallery in Central Milton Keynes developing the Friday Night Film Programme, its outreach and education projects. Read more about their work and forthcoming events.